Mr Sutton Armadale, the financier, was shot dead on the private polo ground of his palatial home. Before expiring in his gamekeeper’s arms, he muttered the one word “murder”. Among the suspects are Armadale’s second wife; a drunken, loud-mouthed stranger in the neighbourhood; and an irresistibly attractive ballerina. The amiable and eccentric Algernon Vereker finds the case as befuddling as a crack on the head from a polo mallet. Two witnesses were certain they heard two shots fired, yet only one spent cartridge case was found on the ground by the dead man’s body. What is the “Sutton Stakes” connection… and is a “Bombay Head” part of the solution? 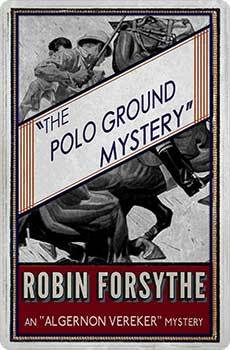 The Polo Ground Mystery (1932) is a classic country house whodunit, with a sporting equestrian theme. The second of the Algernon Vereker mysteries, this new edition is the first published in over 70 years. 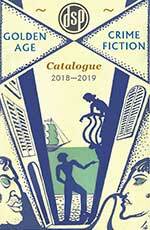 It features an introduction by crime fiction historian Curtis Evans.